Do Female Cats Spray | Why Do Cats Spray? So, there’s a new family member in the house: your cute new girl kitty, Princess, who you recently brought home for your daughter’s ten-year-old birthday. 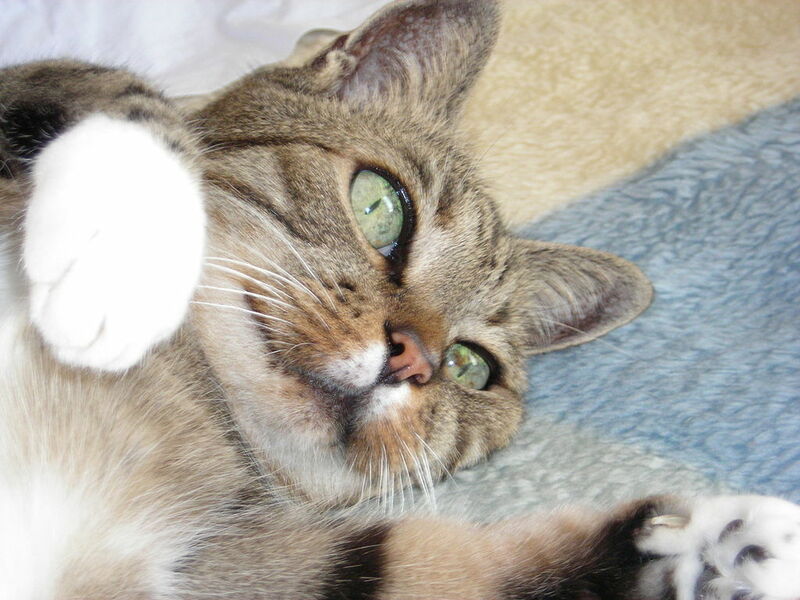 She’s got a delicate pink nose, kiwi-green eyes, a dark grey coating, and adorably large ears for her size. She really couldn’t be more precious. But there’s one thing: you keep finding splatters of pee around the house, and they smell abnormally bad. What in the world is going on? How could such a precious little face do such a smelly thing? Do female cats spray? Here’s the thing: female cats do indeed spray, despite what you’ve heard (or would like to believe). That spot of pee that you found smells horrid because it’s a urine marking, not just inappropriate urination. The urine that a cat releases when spraying (also called urine marking) contains chemicals that give it an extra poignant smell. It’s true—male cats are generally the culprit when it comes to spraying, but there’s a small percentage of girl cats who share in the nasty habit. You can also be sure that it’s an act of spraying and not simply inappropriate urination if the spot is found on a vertical object. Why Is My Female Cat Spraying? There are plenty of reasons as to why precious little Princess may be spraying, and knowing the possible reasons can help lead you to the solution. If you have multiple cats living in your home and she’s not too fond of them, or even if you’ve got a new piece of furniture in the living room, she’s probably trying to mark her territory. It’s her way of letting the rest of the felines in the humble abode know that she’s the owner of that area, and they better not trespass. Another possibility is that she’s attempting to let her a male kitty know that she’s ready for some reproduction. Male cats are known to do this more often, but even sweet Princess might partake in this, too. Consider it her pick-up line, but with something that unfortunately smells awful to you but normal to her. Some other causes of your girl cat spraying could also be that she’s stressed out. Maybe you’ve recently moved to a new house, or maybe you’ve been gone for longer time than usual due to a change in your schedule. Little Princess is definitely feeling it, and she’s taking it out on your walls, plants, and stools. It’s her trying to establish some sense of security by marking more of her territory. Yikes. Another possibility is that she’s perched on the window sill and sees another cat waltzing around outside. Her instinct is to become protective over her house, and again, mark her territory. So what are some ways to stop this chaotic behavior? One option is to get your girl cat spayed. It may seem a little harsh (and pricey), but this is a step that’s been consistently proven to be effective. Make sure, though, that this is done by the time she’s about six months old, because it will be hard to conquer her habit if you do it any later! Another way is to cover the windows so that she’s not triggered to mark her territory when she sees a stranger-kitty through the window. If you suspect that the problem is a result of inter-kitten conflict, then be intentional about creating a positive relationship between them by playing with them together, investing in more litter boxes, and giving them all an equal amount of attention. No room for favoritism here! 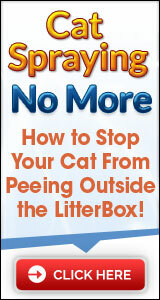 Now that you know that female cats spray too, you’ve got some serious work to do, because there’s no turning back. Your daughter’s fallen in love with little Princess, and you’ve grown a bit attached, too. Do female cats spray? Yes, they can, but don’t let her spraying be a damper on her cuteness, and get to solving the issue!